If you have a crush on Nintendo games but cannot play them as you do not have a console, do not worry. With the best 3DS emulators, you can now play 3DS game on your computer and Android smartphones. There is no doubt that Nintendo games are extremely popular worldwide and the following listed best 3DS emulators are making them available to everyone. The emulators emulate the Nintendo 3DS system and you can play the games effortlessly without a console. You can even change the keyboard settings and make other modifications as per your suitability. It runs on both Windows and Mac. It scales the 3D graphics perfectly and you will get better resolutions than the original Nintendo console. The gamers have said that it replicates the exact experience they get while playing with Xbox 360 gamepad. It can run games at 60 fps and resolution of 400 x 200. It sports several visualization modes and you can display the games in dual screen mode. It requires Windows 7 or up and a graphics card supporting OpenGL 3.3 or above. This emulator allows you to play Nintendo DS games on your Android smartphone. It has the best speed of graphics emulation without any lagging. You can run multiple games simultaneously and switch among them. There are ample customization options, modes, and it lets you use cheat codes. The only problem you may face is using a virtual keyboard instead of a physical one as in game console or computer keyboard. This emulator is useful is playing those Nintendo games that have no PC version. All the Nintendo games are accessible except the latest ones. It mimics the entire graphics system and overall process of Nintendo 3DS console perfectly. After launching the application, you have to select the game files when prompted to insert the cartridge. It has the option to check the results of work done in the game without switching to DS console. 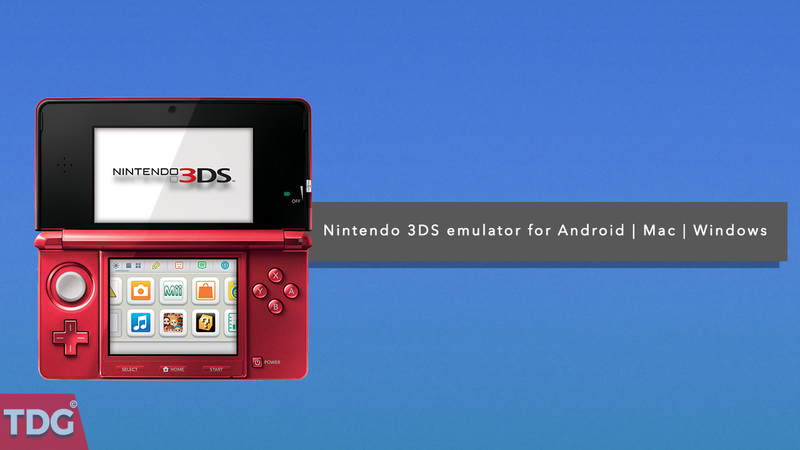 This emulator is for Android devices and you can play the classic Nintendo DS on your Android smartphone or tablet. This emulator does not come with a default Rom and hence, you have to purchase it separately. You can load both .rom and .ds format. The controls are flexible and it lets you use your finger as a stylus. One of the striking features of this emulator is safe-guard feature where your game in progress is saved from time to time. The only annoying thing could be the advertisements shown. It is the only emulator that works on both 34-bit and 64-bit operating system. So, if you have 32-bit operating system due to outdated computer configuration, it is the savior for you. Download the latest version because it keeps on releasing new versions where the bugs reported are fixed. This is a freeware Nintendo emulator but you have to pay $2.5 to get the updates for lifetime. Therefore, you should give it a try and if you find it suitable, you can go ahead and pay the insignificant amount for updates where all the bugs are fixed and latest features are included. Go ahead and download them to try them out and enjoy your favourite Nintendo games with a console like never before.